Uncertainty in the design process impacts performance parameters of products which are a major problem in the development of highly optimized load bearing systems. Typically, the information flow in the design process is a one way process from the design to subsequent product life cycle phases. Uncertainty about product properties leads to less economic and less safe products. 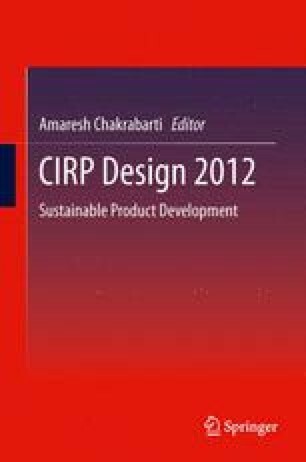 In this paper an innovative approach to enable modeling and communication of uncertain properties along the product life cycle and the sophisticated presentation and visualization of these uncertainties is proposed. This approach is based on a three layer concept including a representation layer, a presentation layer and a visualization layer. The approach enables the visualization of a broad spectrum of process and product properties with respect to different specifications of each property e.g. single values, intervals, fuzziness and stochastic measures which may occur along the product life cycle. We like to thank the German Research Foundation (Deutsche Forschungsgemeinschaft—DFG) for funding this project within the Collaborative Research Centre (CRC) 805.